Located in Hickory Flat, Old Country Place is a local BBQ joint from the mind of Koby Keller. Old Country Place opened in May 2017 and is located inside the Hickory Flat Kroger shopping center. Since then, Chef Jeremy Brown has been serving up both quality interpretations of classic BBQ dishes and new spins on country cooking. Southern Hickory Flat heritage is what Old Country Place has to offer. From down home favorites like the smoked brisket and pork, to dishes like the Fried Green Tomato Capres and Brisket Philly Cheese steak. 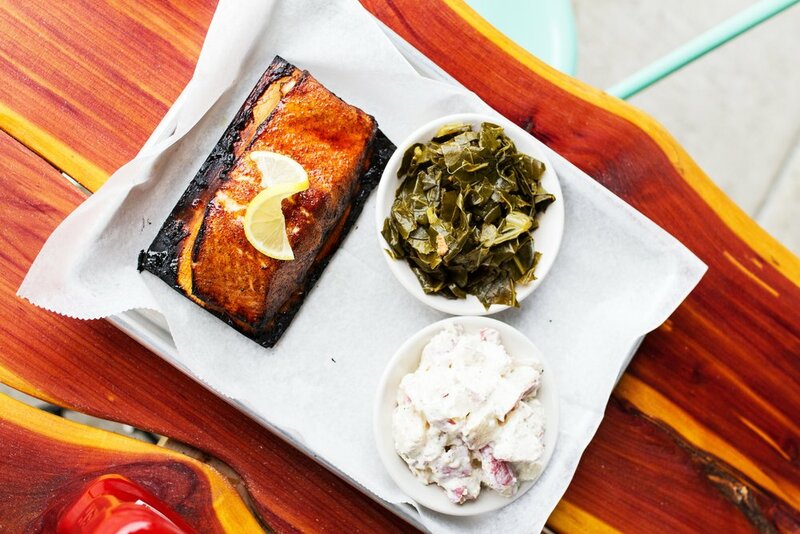 Old Country Place improves on a time-tested southern favorites by adding a twist of culinary trendiness. Owner Koby Keller built a team with long time friend Kyle Pind and executive chef Jeremy Brown and together they have been taking the area by storm. Chef Jeremy Brown is a talented chef who loves to create traditional southern dishes with a modern twist. His cooking represents a blend of his country roots and his urban influences; he loves to try new recipes as well as updating original recipes to his taste and style. He may be a chef in title but will always be a line cook at heart. Owner Koby Keller started working in the restaurant industry when he was fifteen. Back yard barbecues and cook outs were how he was raised just a few miles down the road on the real Old Country Pl. It has always been a dream for him to create a restaurant in his hometown. With the help of family, friends and the local community he has created a BBQ empire unlike anything Hickory Flat has ever seen. General Manager Kyle Pind comes from an art background excelling in all things detail. His long friendship with Koby landed him in the position to create the logo for Old Country Place. Whether its design, service quality or mixology he enjoys every aspect of the restaurant. His focus on customer relations and customer retention come from his background as a bartender.